What is the role of nature in cities? How can business and government leaders align environmental stewardship with economic growth? 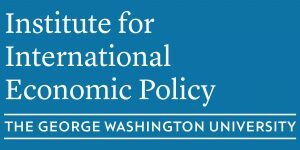 On September 14, the Institute for International Economic Policy at The George Washington University hosted a panel of experts to answer these questions at a live, in-person webcast at the Elliott School of International Affairs. The participants included Mark Tercek, President and CEO of The Nature Conservancy, Rob McDonald, Senior Scientist for Sustainable Land Use at The Nature Conservancy,and Professor David Rain of GWU. The panel largely discussed Mark Tercek’s book, Nature’s Fortune, and its ideas for valuing ecosystem services to be used in business plans. Led by Marcus King from The George Washington University Elliott School of International Affairs, they examined how public and private sector leaders can use natural resources to both impact the bottom line and benefit society, and how ecosystem services and natural infrastructure can enhance cities and neighborhoods. With their combined expertise from the fields of conservation, ecosystem services, environmental security, and corporate finance, they aimed to challenge conventional thinking about the importance of environmental resources and economics as key tools in creating a sustainable world. IIEP is located within the Elliott School of International Affairs at GWU. It serves as a catalyst for high quality, multi-disciplinary, and non-partisan research on policy issues surrounding economic globalization. The Institute’s research program helps develop effective policy options and academic analysis in a time of growing controversies about global economic integration. The institute’s work encompasses policy responses for those who face continued poverty and financial crises despite worldwide economic growth. IIEP has a number of signature initiatives including one on the adaptation to climate change in developing countries. SSF is a public interest organization that produces learning events about climate security, which we define as the threats to society from a changing climate and related disruptions to natural systems. Our main products are free webinars that convene global experts on food and water security, public health, economic vitality, infrastructure, governance and other impacts that must be solved in meeting climate security challenges. Island Press communicates ideas essential to solving local and global environmental problems. We do this by publishing, marketing, and disseminating books; conducting educational outreach campaigns; convening leading thinkers and activists, and utilizing new digital technology. Our goal is to ensure that those working to protect biological diversity and ecosystems services, to encourage sustainability of the natural resource base, and to promote and protect human health and the quality of life receive the best multidisciplinary information available and early exposure to new ideas. 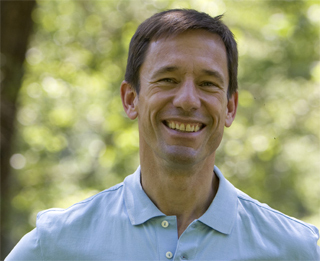 Mark Tercek is president and CEO of The Nature Conservancy, the global conservation organization known for its intense focus on collaboration and getting things done for the benefit of people and nature. He is the author of the Washington Post and Publishers Weekly bestselling book Nature’s Fortune: How Business and Society Thrive by Investing in Nature. A former managing director and Partner for Goldman Sachs, where he spent 24 years, Tercek brings deep business experience to his role leading the Conservancy, which he joined in 2008. He is a champion of the idea of natural capital—valuing nature for its own sake as well as for the services it provides for people, such as clean air and water, productive soils, and a stable climate. During his time at Goldman Sachs, Tercek managed several of the firm’s key units, including Corporate Finance, Equity Capital Markets, and Pine Street, the firm’s leadership development program. In 2005, after two decades as an investment banker, Tercek was tapped to develop the firm’s environmental strategy and to lead its Environmental Markets Group. Inspired by the opportunity to help businesses, governments, and environmental organizations work together in new, innovative ways, Tercek left Goldman Sachs in 2008 to head up The Nature Conservancy. In 2012, Tercek was appointed by New York Governor Andrew Cuomo to serve on the New York State 2100 Commission, which was created in the wake of Superstorm Sandy to advise the governor and the state on how to make the state’s infrastructure more resilient to future storms. Tercek is also a member of several boards and councils, including Resources for the Future and the Nicholas Institute for Environmental Policy Solutions. He is also a member of the Council on Foreign Relations. Tercek earned an M.B.A. from Harvard in 1984 and a B.A. from Williams College in 1979. Dr. Robert McDonald is the lead scientist for the Nature Conservancy’s efforts to figure out how to make cities more sustainable. He holds a Ph.D. in Ecology from Duke University, and has published more than 30 peer-reviewed publications, many of them on the science of how cities impact and depend on the environment. He is author of Conservation for Cities: How to Plan and Build Natural Infrastructure (published by Island Press), blogs for The Nature Conservancy’s Cool Green Science blog and has published two recent essays on urban/environment interactions in a collection called Taking Sides: Clashing Views in Global Issues (McGraw-Hill) and in The Chronicle of Higher Education. Professor Rain received his Ph.D. in Geography from The Pennsylvania State University. Prior to his appointment at GW, he served as a statistician-demographer with the U.S. Census Bureau. In that capacity, Professor Rain assisted numerous countries with census and cartographic capabilities. He served as an instructor at the University of Maryland and Penn State and was a Peace Corps volunteer in Niger. Professor Rain is the author Eaters of the Dry Season: Circular Labor Migration in the West African Sahel (Westview Press, 1999). His book, Handbook on Geospatial Infrastructure in Support of Census Activities, is forthcoming from United Nations Publications. His articles have appeared in Urban Geography, GeoJournal, and the Proceedings of the Environmental Systems Research Institute. His current interests include demographic and environmental change in developing world cities, remote sensing and field survey methods to explore environment and well-being, and the role of geospatial technologies in improving governance and facilitating humanitarian response. 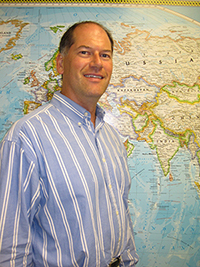 Professor Rain has received several awards and fellowships, including the ComSci Fellowship from the Department of Commerce, the Bronze Medal Award from the U.S. Census Bureau, and a Fulbright Award to conduct research in Niger. 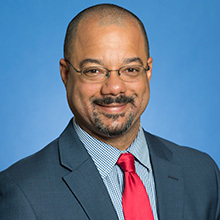 Marcus D. King is John O. Rankin Associate Professor of International Affairs and Director of the Elliott School’s Master of Arts in International Affairs Program. Dr. King was previously Associate Research Professor and Director of Research where he worked with the Elliott School’s nine centers and institutes to coordinate over $30 million in faculty sponsored research proposals. Dr. King joined the Elliott School from CNA Corporation’s Center for Naval Analyses where he led studies for U.S. government agencies on climate change security, resilience, adaptation and energy security. He was also project director for the CNA Military Advisory Board (MAB), an elite group of former admirals and generals that launched landmark reports on these topics. Dr. King’s research and teaching at GW focus on the nexus between environmental scarcity or abundance and conflict. 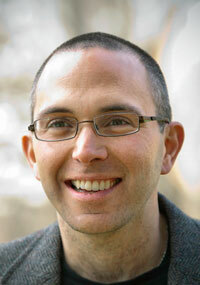 He holds a Ph.D. in international relations from Tufts University.